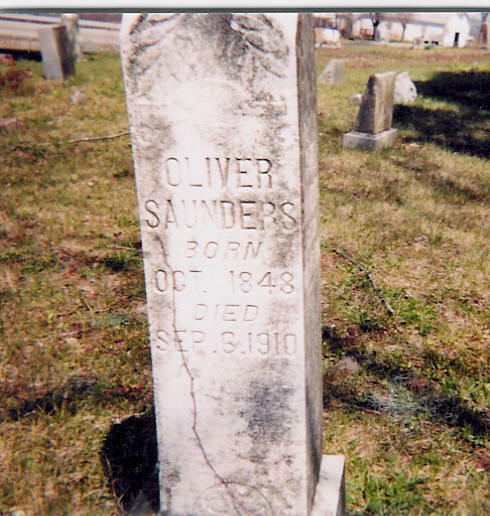 My 2nd great-grandfather, Oliver SAUNDERS, who served under the name alternate names Oliver HENDRIX and Oliver HENDRICKS, in the USCT. He mustered in at Greenupsburg, KY, if I am not mistaken, and did so along with his older brother, Frank. He was a Private in Co. B 121 US Colored Infantry. At the time he mustered out, he was a Corporal with Co. H - 13 US Colored Heavy Artillery. 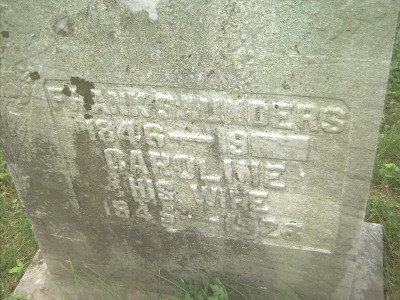 He shares a headstone with wife, Katherine Jones SAUNDERS, and Perry SAUNDERS--a child who only lived from 2/1893 - 3/1894. I have not found any documentation to determine whether Perry was their child, grandchild, or some other relative. Has two plaques (D-124 & B-28) at the African American Civil War Memorial in Washington, DC.